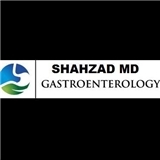 Shahzad MD Gastroenterology (The Woodlands) - Book Appointment Online! Advanced Gastroenterology's associates are Spring, The Woodlands, Humble, Kingwood & surrounding Houston's premier providers of gastroenterology care. Your digestive health is important and when it comes to your healthcare, only the very best will do. Our three Board-Certified fellowship-trained Gastroenterologists are also Internal Medicine physicians with specialization in the areas of digestive diseases, liver disease, and cancer. At Advanced Gastroenterology, we perform the latest in state-of-the-art procedures and advanced non-invasive tests, such as the GI Pill Cam (Small Bowel Capsules) , Upper GI Endoscopy, Colonoscopy, and Endoscopic Retrograde Cholangiopancreatography (ERCP). Together, the combined talents of Dr. Khanh Le, Dr. Atif Shahzad and Dr. Ilyas Memon offer high-quality diagnosis and treatment of the entire digestive system, providing patient-first compassionate care.